Biker Dave wrote: Do you have a voucher photo of each of the 113? If not, I would just enter what you have vouchered and then notate in the notes section about the ones unvouchered. No. 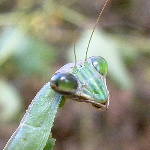 I was not on here yet and was only worried about interesting finds for photos (new locales, species, ect.). At that point didn't know needed photos for everything. It was hard enough to keep up with times and locations. Was wondering what picture file types are accepted for the vouchers? Unlike the Forum here which requires you to first load your photos onto a hositng site like Flicker or Photobucket, the Database will copy files directly from your computer. As far as I know, you can use just about any format you like, or at least I have never seen a list of acceptable or unacceptable formats. Don Becker (psyon) is the man to ask if you have any troubles. It would be good to post the list of acceptable formats somewhere. new question: only started entering info into the database a week ago or so. I checked the 2011 scoreboard and didn't see my name. Was wondering if I'm doing something wrong or does it take a while to show up? sjfriend wrote: new question: only started entering info into the database a week ago or so. I checked the 2011 scoreboard and didn't see my name. Was wondering if I'm doing something wrong or does it take a while to show up? Its automatic, and you're on there, but all the way at the bottom of the historical contest. Not sure why your name doesnt alphebetize with the rest. 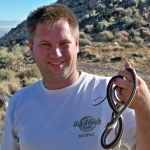 Like Nate said, you're on the historical scoreboard (for entries from herps you saw in 2010 or earlier) but not the 2011 scoreboard, which is only for herps you actually saw in 2011. If you don't capitalize your name, it's read differently and is placed at the end alphabetically. If you want it alphabetized along with the capitalized names then you'll have to capitalize it. thanks for the info. Looked at bottom at totals but never noticed name. Plus,If you click one of the top rows, for example "species" you'll get the list from the person with the most to the person with the least.. BTW unvouchered records don't count in the contest. Fundad wrote: If you click one of the top rows, for example "species" you'll get the list from the person with the most to the person with the least.. I never knew you could do that! That's awesome. Question for you all. I'm currently editing a video of herping in florida for my website. Am I correct in thinking this database is open to all ? 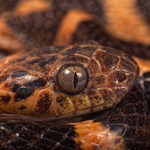 I would like to include some text content in the video about the url for entering herptiles into this database, as incuhead2000 mentions it in a segment, would this be a good thing or not? Yep, it's open for everyone who wants to contribute. I am a little confused about how to use the quantity function. So lets say I see 8 painted turtles sitting on a log and I take 1 picture of all 8. When I enter them into the database am I supposed to enter 8 separate identical entries with the same voucher photo? That seems a little silly. And if I do enter 8 separate entries should the quantity in each one say 8 (which is what is in the picture) or should it say 1 because then there would be 8 entries each listing 8 turtles for a total of 64? If I don't care about contests, then is it actually cool to just enter one entry with a quantity of 8? Why don't the contests just take into account the quantity instead of the actual number of entries? I know the quantity should match the number of vouchers. So if the black racers I saw yesterday disappeared into their dens too fast to get a pic, I should create an entry but put quantity of 0? Lets say I find three bullfrogs at a pond, take pics of all 3, and enter them into the database. 2 weeks later I go back to the same pond and I find and photo 5 bullfrogs, but I don't know if any of them are repeats of the first 3. Do I enter all 5? Seems like a weird way to rack up records by recounting the same animals on different dates. 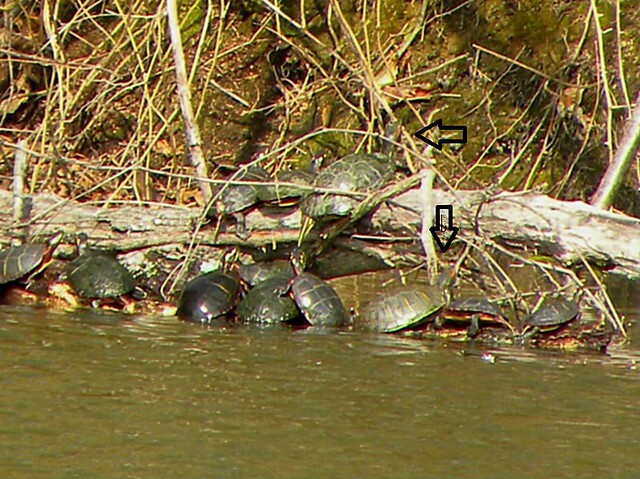 zwhitman wrote: So lets say I see 8 painted turtles sitting on a log and I take 1 picture of all 8. When I enter them into the database am I supposed to enter 8 separate identical entries with the same voucher photo? That seems a little silly. And if I do enter 8 separate entries should the quantity in each one say 8 (which is what is in the picture) or should it say 1 because then there would be 8 entries each listing 8 turtles for a total of 64? If I don't care about contests, then is it actually cool to just enter one entry with a quantity of 8? Definitely. I would just do one entry with a quantity of 8. Whenever I can see all the herps in one shot, I include them in the same entry. If you wanted to make 8 entries, that would be acceptable, but definitely include a quantity of "1" for each one. zwhitman wrote: Why don't the contests just take into account the quantity instead of the actual number of entries? I think because then pictures of puddles with 600 tadpoles in them would throw the whole contest out-of-wack. Also, separate entries tend to include more useful information than a single entry with a big quantity. zwhitman wrote: I know the quantity should match the number of vouchers. So if the black racers I saw yesterday disappeared into their dens too fast to get a pic, I should create an entry but put quantity of 0? The default is 1. Since it's easy to tabulate numbers for vouchered-records-only, having a quantity of 1 on the unvouchered records won't mess up the vouchered count at all. zwhitman wrote: Lets say I find three bullfrogs at a pond, take pics of all 3, and enter them into the database. 2 weeks later I go back to the same pond and I find and photo 5 bullfrogs, but I don't know if any of them are repeats of the first 3. Do I enter all 5? Seems like a weird way to rack up records by recounting the same animals on different dates. This has been discussed and there's no clear consensus. What I and most people do is make the best effort possible to tell which animals have been recorded before, and not re-record those, at least not in the same year. What you can do instead is put a note on the entry "bullfrog was seen again in same locale 2 weeks later). So if I thought there was a pretty good chance that 2 or 3 of the frogs were repeats, I would only enter the ones that I was sure were new. Seems like a weird way to rack up records by recounting the same animals on different dates. Your goal should not be to "rack up" the records. Its sounds like you have a sense for a logical way to enter records. Do it that way. Dont create records that are unnecessary to inflate your total number of records. (Note - I usually give eggs a default quantity of 1, because I dont know how many individuals embryos there are). Sometimes you have to split up records. See example #103813 where I put DORs in a separate record. Thanks for all the fast replies. One more question... how do you enter a report if there are too many to count? Ex tadpoles. Just put one and then write TNTC in the notes? Also, going back to the turtle example above... If I saw the same 8 turtles, at the same location, but took a separate voucher pic of each one, would I then have to make 8 separate entries? zwhitman wrote: Thanks for all the fast replies. One more question... how do you enter a report if there are too many to count? Ex tadpoles. Just put one and then write TNTC in the notes? I try to get a decent count of enough that I can make a good estimate that is definitely less than the actual total. It's not hard to do when you have the picture. 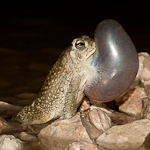 I do the same thing for calling frogs. zwhitman wrote: Also, going back to the turtle example above... If I saw the same 8 turtles, at the same location, but took a separate voucher pic of each one, would I then have to make 8 separate entries? It's up to you. Personally I put things in the same entry if I flip them under the same board/rock or if I can see all of them at the same time. Otherwise I do a separate entry for each one. But different people have different preferences. That's the way I do it. 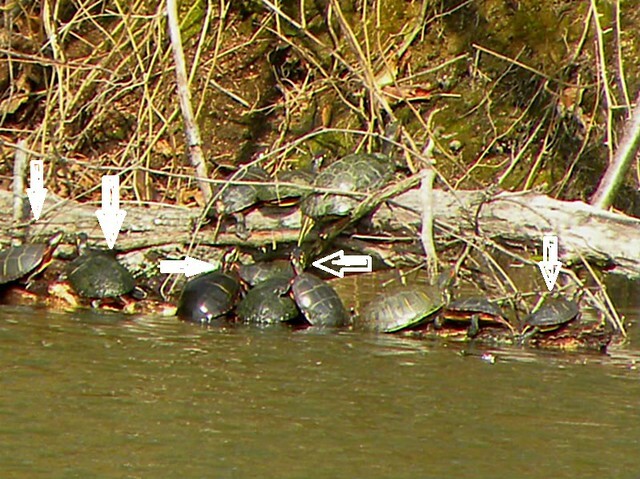 If there's 8 of the same species on the same log, it gets one record. I just use common sense. Anything could make me break it up though. If you had seven adults, and one juvy that would constitute 2 records for me. Stuff like that. Make sure those viewing your photos can identify what you are entering. You may know its a painted turtle from 100 yards, but if you cant tell in the photo, then anyone soliciting the data may not be so sure. Take photos of identifying markings. National Geographic shots are great, but save those for the forum. I just started doing the following. With multiple species in a photo, make sure they know which one you are talking about in the record. Painted turtles- I pointed to ones that were identifiable. Thats the way I would do it. No, if you are recording them as the same location, they can all go into the same record. The data form allows for 5 voucher photos to be uploaded at a time. If you have more then 5, after you submit, click edit to upload more. Yeah thats a good point. I often use my binoculars to ID basking turtles, so even though I am sure, there is no way my camera can get good enough pics from that distance. Oh well... this is citizen science... if someone wants to not believe me, what can I say? This is a horrible picture, but you can tell they are res. Is there anyway we can get a roundabout list of habitats and a description of them. Whenever I read in books, I see very specific detailed description of a habitat, and I feel that standardizing these descriptions in the database would help tremendously, especially if you could search by habitat. Looking at the database, I see some that just say "woods". I feel that this isn't really specific enough considering there are many different woodland habitats. Unfortunately, I don't have the ecology and environmental background to really have a good knowledge of this, I've just been doing as good as I can in descriptions when I make entries. But I do feel that the habitat section is very important and for data collection, should be standardized. Are you looking for one specific type of habitat? I think if they did a drop down menu on the db of all the different habitat types of North America the list would be too long and too confusing. I think if they did a drop down menu on the db of all the different habitat types of North America the list would be too long and too confusing. Agreed, and as Kyle stated "I don't have the ecology and environmental background to really have a good knowledge of this", people would end up choosing a habitat from the list that wasnt even present in their region. I'll have to do some research on the habitats. I think it would be neat to have a seperate page on the site or elsewhere that had photos of different habitats and descriptions to help fill in that box, but I'm learning as I go. Another question, and this is the first time this has come up, do I create a second database entry if I catch the same snake twice? I caught a tan racer in shed, 3 days ago, and went out to the same area looking for hognoses yesterday, and the racer was in the exact spot, this time with eyecaps off and the skin starting to break and shed off. Should I just update the old entry, or create a new one and reference the old entry in the notes? I'd like to think we'd have a way to account for individuals that we see often as it would make good data on how often they move and how far. Since I am spending a lot of time in a certain area and am getting a lot of tan racers, I am taking ventral scale shots and scar photos to help identify individual snakes. Has any discussion been given to the idea of a batch-import feature on naherp.com? I've only uploaded a few records (just a couple of recent incidental observations) but I have over 100 I could easily upload if a CSV-file upload option was available. I hand-jammed a bunch of data from Snake Days 2012 into a spreadsheet for my own analysis, then have spent the last week reformatting it and uploading to the iNaturalist "Herps of Texas" project. Reformatting is a lot easier than uploading each of these one at a time. I'll still have to individually enter my other records. However, if a CSV-upload feature was available, I might start reformatting my preprinted manual records sheets to match the CSV requirements for future events, so I can input them to a spreadsheet upon returning from a trip, then more easily upload the whole hot mess to naherp.com. chris_mcmartin wrote: Has any discussion been given to the idea of a batch-import feature on naherp.com? I've only uploaded a few records (just a couple of recent incidental observations) but I have over 100 I could easily upload if a CSV-file upload option was available. Yes, I have put some thought into it, but have not been able to implement it yet. chris_mcmartin wrote: Has any discussion been given to the idea of a batch-import feature on naherp.com? I've only uploaded a few records (just a couple of recent incidental observations) but I have over 100 I could easily upload if a CSV-file upload option was available. 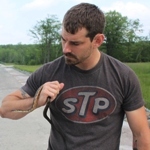 I hand-jammed a bunch of data from Snake Days 2012 into a spreadsheet for my own analysis, then have spent the last week reformatting it and uploading to the iNaturalist "Herps of Texas" project. Reformatting is a lot easier than uploading each of these one at a time. That would work for me as well. I copy my GPS tracks into a spreadsheet and my camera time is sync'd to my GPS time. I would need to add the voucher photo to each afterwards, but it would be quicker than copying for each subsequent record on days that I have 20 or more. Awesome, and I applaud the entire undertaking. kyle loucks wrote: Make sure those viewing your photos can identify what you are entering. You may know its a painted turtle from 100 yards, but if you cant tell in the photo, then anyone soliciting the data may not be so sure. Take photos of identifying markings. National Geographic shots are great, but save those for the forum. 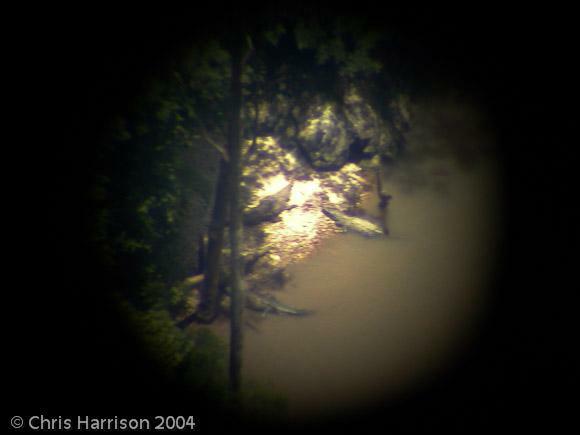 From google maps and a little pythogerean theorem I determined I was approximately 2,841 feet from the crocs. If the person requesting data is relying on photos for validity, that person should be able to identify the animal from the photo. Don't you think? Since we have no procedure for quality control, we should all try for the best photos we can that depict identifiable traits of that animal. As for your photo, I know who you are and trust your judgement, data requesters may not. Cool shots btw. I have many of my own records that I would not trust if I was asking for them, and, are basically voucherless due to crappy photos. I don't think that this has been broached yet, but is there any way to upload photos and have the metadata automatically fill in all (or most) of the required categories? I know Flickr can detect all of this and iNaturalist.org allows for uploading from Flickr onto their server and automatically fills in all the details about a particular observation. I edit my photos in Lightroom and will tag and geotag them in there, then upload automatically to Flickr, and then to iNaturalist. I didn't contribute much to iNat before I learned of this process because it was time intensive to sit down and input all of the data they wanted into their database, but now it is very easy and I regularly upload observations with a simple click. That is my hesitation with loading all of my observations onto NAHERP's list serve: that it'd take a great deal of time to get all of the data for each observation in when most/all of the data is in the metadata of the photos I would submit as vouchers. Is there any way to work some functionality like that into NAHERP? If I could enter several dozen or a hundred observations in a matter of minutes, I would be eager to do so, which is often the case after herp weekends. What does it automatically upload...the name and date? GPS? I'm curious...and if it does upload gps, how does it compensate for a telephoto pic of a turtle 200 yds away? MonarchzMan wrote: I don't think that this has been broached yet, but is there any way to upload photos and have the metadata automatically fill in all (or most) of the required categories? I know Flickr can detect all of this and iNaturalist.org allows for uploading from Flickr onto their server and automatically fills in all the details about a particular observation. I plan on doing it, but haven't yet. That is my hesitation with loading all of my observations onto NAHERP's list serve: that it'd take a great deal of time to get all of the data for each observation in when most/all of the data is in the metadata of the photos I would submit as vouchers. If you have a smart phone, we have a mobile app that lets you record your records while in the field. It saves your location from the GPS on your phone, lets you snap a picture with your phone, and choose what species it is. 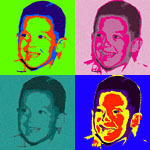 Brian Hubbs wrote: What does it automatically upload...the name and date? GPS? I'm curious...and if it does upload gps, how does it compensate for a telephoto pic of a turtle 200 yds away? Date is stored in the EXIF data. There is a title tag in EXIF and IPC data as well, that some people use to store the species name, though it isn't a standard to do so. 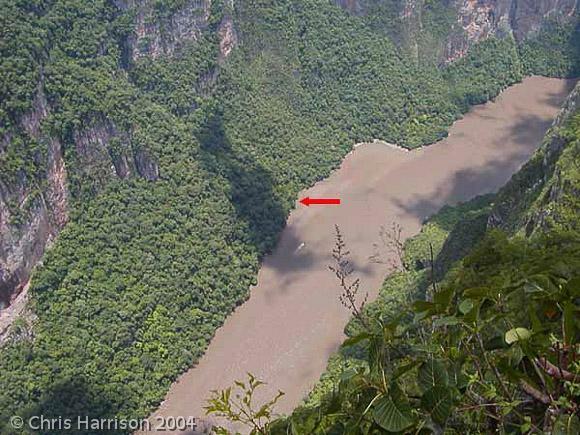 The GPS coordinates saved in the photo are relative to where the camera body is. It does not compensate for using a zoom lens, nor does a hand held GPS unit take into account that you are looking through binoculars. On iNat, it records time, date, species name, descriptions of the photo (I have not included meteorological information in this, just species and location), and GPS coordinates (which, as Don said, are relative to the camera body). I have Lightroom pretty well automated for all of this so it is very quick to label photos and all. I cannot open "my records on google earth" because it is a .kml file, which I, and my computer have never heard of. Any ideas how to fix the problem? Additionally, on all the maps there are counties that are grey, a colour not on any of the schemes (green to yellow, orange, red etc.). I've asked another member, and it doesn't appear when they look up the same maps. Any idea on what's causing this gliche?